Many know New Paltz for its unique heritage. Founded by French-speaking Protestants in 1678, the town has a long history. Much of it is preserved at Historic Huguenot Street. And yet, historic homes, and history are not limited to the famous street. The village’s evolving history is documented in homes throughout the community. Last year, local resident Hollise Tirendi came to Historic Huguenot Street with the idea of creating a tour that will allow people to see some of the village’s most interesting homes – private homes not often open for the public to see. From this idea came the New Paltz Village Historic House Tour. 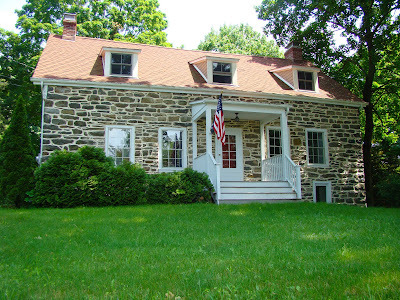 Offered on Sunday, June 12th from 12 to 5pm, the event offers a glimpse into nine of the community’s most unique private residence, as well as a “work in progress” peak into the Jean Hasbrouck House at Historic Huguenot Street. 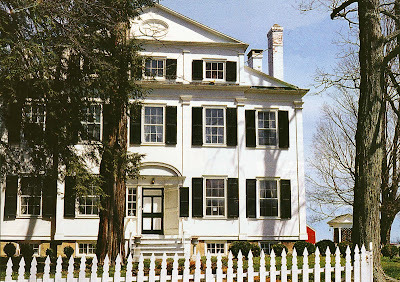 The house is currently undergoing restoration and reinterpretation, and is closed to the public. Among the houses featured is the Benjamin Hasbrouck, an 18th century stone house across form the SUNY New Paltz campus that continues to be a private residence. Capping off the event is a reception at the grand Philip Elting House. The owners of this stunning house, once a summer residence for members of the Elting family, will be sharing their home, along with their clock and classic car collections. Tickets for the event are $25 in advance of $30 on the day of. Tickets will be held, and can be picked up at the DuBois Fort Visitor Center, 81 Huguenot Street in New Paltz, starting at 11:45 on Sunday, June 12th. To register, visit www.huguenotstreet.org or call (845) 255-1889. Photo: Benjamin Hasbrouck House by Richard Heyl de Ortiz. Will there be a open house Huguenot street this June?